Calendar of Association events and associated activities of interest. This is a 'live feed' and corrections will be made as necessary. A PDF copy of the Calendar is available below. 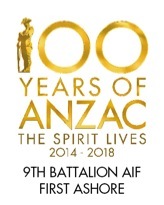 Association Meetings are held at Victoria Barracks, starting at 1730 hrs. ...or use the Contact tab at the top right of the screen. scroll down on the Events list to see the later Events. Association Events 2016 pdf version. Your Association d paraded in Brisbane city on Anzac Day 2017. The March commenced at 9:30am and we congregated afterwards at O'Malleys Irish Pub, under the Wintergarden Mall, for light refreshments. Thanks to all members who made the effort to give us one of the larger attendances to march in recent years. The 2017 annual Patrons Dinner was held on Wed 24 May 2017 at the United Service Club, Wickham Tce, Brisbane. Shown in the photo on the right are Phil Hill and his wife Coleen, Brad Shillig and Frank Meoni at the 2015 Dinner. The Associations Birthday Lunch will be held on Saturday 2 December 2017 at the Milne Bay Memorial Library and Research Centre at Chermside. 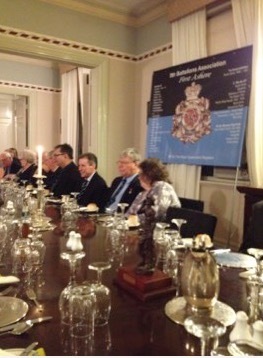 The official invitation is shown on the right. All Association members and their families are invited to attend. The venue for this years lunch is currently hosting our First Ashore Display which will once again form an interesting backdrop to the lunch. Invitation will be emailed, or posted, to all members with links to RSVP and payment options. A direct link to the online RSVP form is here. 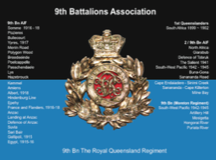 For any further details or questions use the .Contact' tab on the far right of this page or email secretary@9bnassoc.org or a direct call on 07 3814 4331. The actiivities fo 2017 have not yet been fully confirmed - changes will automatically posted here as they occur. Click on the headings to reveal detail.